Qravity is a decentralized digital content development and distribution platform with integrated project management tools. These include asset production and approval, file sharing, and messaging for community and team communication. Strong team, and really great product. I lthought the whitepaper was exceptional in particular. Great idea to include a production tool set as well as a distribution platform. Very well-laid out white paper. The tokeneconimics are explained clearly as well as their interactions. The product is a nice blend between a project management tool for the creation of digital content and a distribtuin platform. The fact that creators get a portion of the revenue everytime someone buys content they helped create can boost earnings of individual creators like freelance or simply contractual writers, graphics designers and others. Addition the preview of their pilot project animation about a robot city looks very nice. Perfect fusion between experience, expertise and talent. 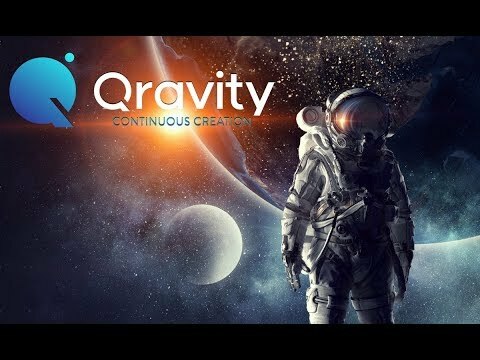 The Qravity team is even creating a movie to stimulate their platform. Tokenization, and in this example - Digital Content Tokenization, is one of the best use cases of blockchain. I know so many people who would switch away from UpWork and Freelancer when Qravity goes live. I've seen the gorgeous mockups and all the technical specifications in the white paper. Together with the fact that the team is assembled, I think the hard lifting is done. Now they just need to finish strong and bring this amazing project to life!